Now, it is the time for its P series to rock worldwide market. After waiting for so long and huge anticipation, the world third largest smartphone manufacturer Huawei has released its latest flagship phones, P9 at an event held in London (UK) today. P9 Max isn’t released as it was rumored earlier. It is a smartphone with a regular size and dimensions in its latest flagship. Moreover, it is smaller than P9 Plus and carries major footprints of iPhone 6s. It sports a 5.2-inch touchscreen IPS LCD panel display with a resolution of 1080p. The modified version of the Kirin 950 used in Mate 8, called Kirin 955 is used to power the latest device. It sports octa-core CPU clocked at 2.5 GHz for the quad-Cortex-A72 cluster and 1.8GHz for the quad-Cortex-A53. It will come in two versions – one with a lower spec while other with the higher spec. The former will have 3GB RAM and 32 GB internal capacity while the latter will sport 64 GB inbound storage and 4 GB RAM. However, the storage capacity can be expanded with the presence of a microSD card slot which will support up to 128 GB. The dual camera setup is one of its highlight features. The structure is designed and developed by German optics specialist Leica. It is Huawei’s first device with its new partner. The Huawei P9 houses two 12 MP rear shooters in which one will capture colors while the other will capture only black and white along with the varying levels of gray automatically. It is designed to make better and detailed shots than ever before in good light while in low light, it will help in reducing color noise to a great extent. Going in detailed specs and number, the lens aperture is f/2.2. Its field of view in 35 mm is in proportion to a 27 mm lens. Autofocus uses an algorithm based on a combination of laser, contrast, and depth calculation. In simple words, it means the difference between what two cameras are seeing. Pairing the two, Huawei says, improves contrast by 50 percent and light capture by 300 percent. The cameras are supported by a dual-LED flashlight to help capture with significant details even in low light. 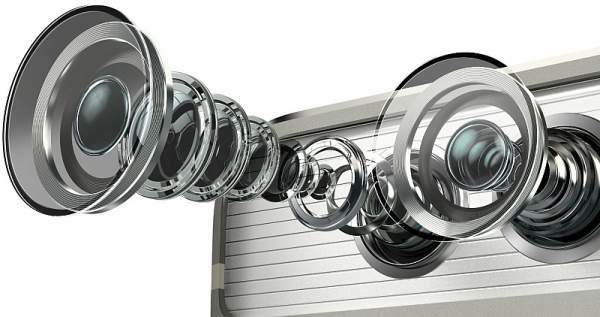 However, optical image stabilization (OIS) isn’t there because it is not possible to stabilize both the cameras identically. Nevertheless, the monochrome camera present will have to capture the image with the same quality. Thus, OIS won’t be required as . Ideally, it should do the same thing. There is a small pop-up menu near to the shutter release button to enter into pro mode of the camera which will help to alter everything manually from shutter speed to ISO value, white balance, focus mode, light metering and more. The phone has the metal body made from aluminum and looks like as the same utilized in Huawei Nexus 6P. It gives it a premium y vibe and end to end display dominate the front. The camera strip on the back appears to be the same. For quick and extra security, the fingerprint sensor is provided, but at the back side. It comes with a 3,000 mAh battery and USB Type-C connector is provided for charging purpose. P9 has a price tag of €599 or $684 for 3GB/32GB version and €649 or $738 for the 4GB/64GB variant. It will be released in the market on April 16 in 29 nations. Europe and the Middle East will get them first. The P9 comes in six getups: ceramic white, haze gold, rose gold, titanium gray, mystic silver and prestige gold.